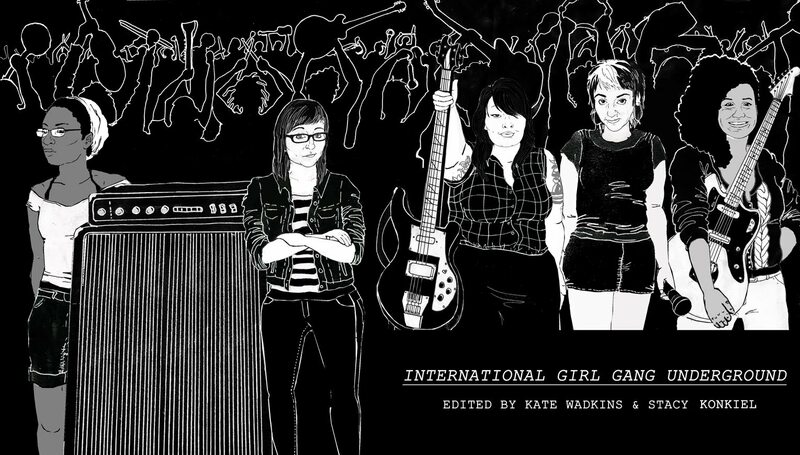 In light of this week’s 100th International Women’s Day, Kate Wadkins (of For the Birds Collective, Brain Waves) and Stacy Konkiel (of Soul Ponies) announce the International Girl Gang Underground (IGGU) zine, which is now available in print and online. In an effort to highlight contemporary D.I.Y. feminist cultural production, twenty years after the riot grrrl movement, and in the wake of its legacy, the editors collected stories, artwork, and critical work on the subject. + readings from contributors of the International Girl Gang Underground zine & tabling by FOR THE BIRDS and SUPPORT NEW YORK. This event will be a safer space, with support from NYC Coalition for Safer Spaces.